Chemical Constituents and Components : Main chemical constitutes are chebulagic acid, chebulinic acid, corilagin, beta-sitosterol, gallic acid, ellagic acid, ethyl gallate, tannic acid, galloyl glucose & chebulaginic acid. Tannins: 1. It is a potent suppressor of T cell activity. 2. It blocks the cytotoxicity, mediated by cytotoxic T lymphocyte. 3. It shows antibacterial activity against gram positive and negative bacteria. 4. It possesses antimicrobial activity and inhibits xanthine oxidase. 5. It shows strong scavenging activity against free radicals and inhibites reactive oxygen species production from leucocytes. Curing Diseases : 1. It is useful in gastropathy, flatulence and other stomach problems. 2. It is useful in inflammations, wounds, ulcers and haemorrhoids. 3. It is used in cough, hiccough and pharyngodynia. 4. It is useful in jaundice, vesical and renal claculi, hepatopathy and splenopathy. 5. 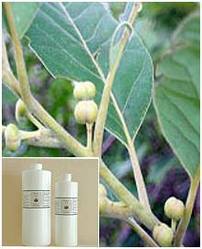 It is used in treatment of jaundice, dysentery, urinary tract infections and immunological disorders. Research Information : Terminalia chebula seed powder or extract possesses potent antidiabetic activity.